New and improved with 25% more protein in the same size tablet. Higher potency and faster absorbing branched chain amino acids, peptide bonded and free amino acids that are essential for building muscle. 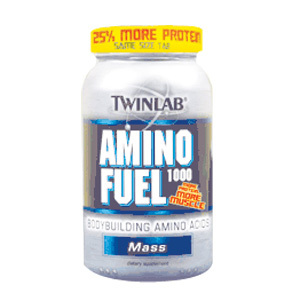 Result: Increases protein synthesis which optimizes muscle growth. Science: Amino Acids are the building blocks of protein. Protein availability is an essential element of building muscle, when used as part of a low-fat diet and exercise program. Research shows that when taken orally, peptide bonded amino acids, the most easily digested form, are absorbed faster than other types of proteins. As a dietary supplement, take 4 tablets with each meal or as directed by a professional trainer. For best results, use as part of a low-fat diet and exercise program. Warnings: Not for use by individuals under the age of 18. Use this product as a food supplement only. Do not use for weight reduction. Calories 20, Protein 5g, Calcium 25 mg, Sodium 10 mg, L-Alanine 236 mg, L-Arginine 86 mg, L-Aspartic Acid 540 mg, L-Carnitine 20 mg, L-Cysteine 111 mg, L-Glutamic Acid 868 mg, L-Glutamine 200 mg, L-Glycine 78 mg, L-Histidine 77 mg, L-Isoleucine 331 mg, L-Leucine 474 mg, L-Lysine 481 mg, L-Methionine 93 mg, L-Phenylalanine 104 mg, L-Proline 289 mg, L-Serine 218 mg, L-Threonine 366 mg, L-tryptophan 72 mg, L-Tyrosine 76 mg, L-Valine 281 mg.
Other Ingredients: Hydrolyzed Whey Protein Isolate, L-Glutamine, Cellulose, Vegetable Stearic Acid, Croscarmellose Sodium, Egg White, Hydrolysate, Silica, L-Carnitine, L-Tartrate, Polyethylene Glycol, Carrageenan, Maltodextrin, Water. 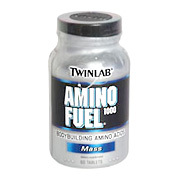 Amino Fuel 1000 is shipped in a discrete, unmarked package. Orders are processed immediately and usually take about 3 to 5 working days to be received. We do ask that you try it for 2 to 3 weeks to feel the full effects. Any information received is used only for order processing and shipping purposes. Your information, such as e-mail address, will never be disclosed to a third party.